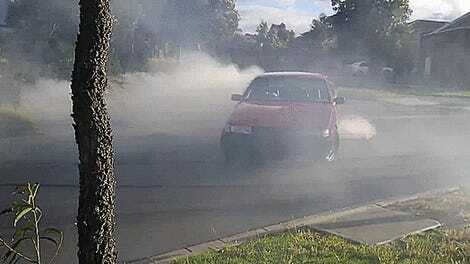 Burnouts never really get old, but they could use some variety every now and then. One way to improve upon a theme is to slap eight colossal tires on your mud truck. Watch this truck produce a burnout as big as a house as it spins four monster truck wheels at once. If you’re bored of your usual burnouts, just add more tire.